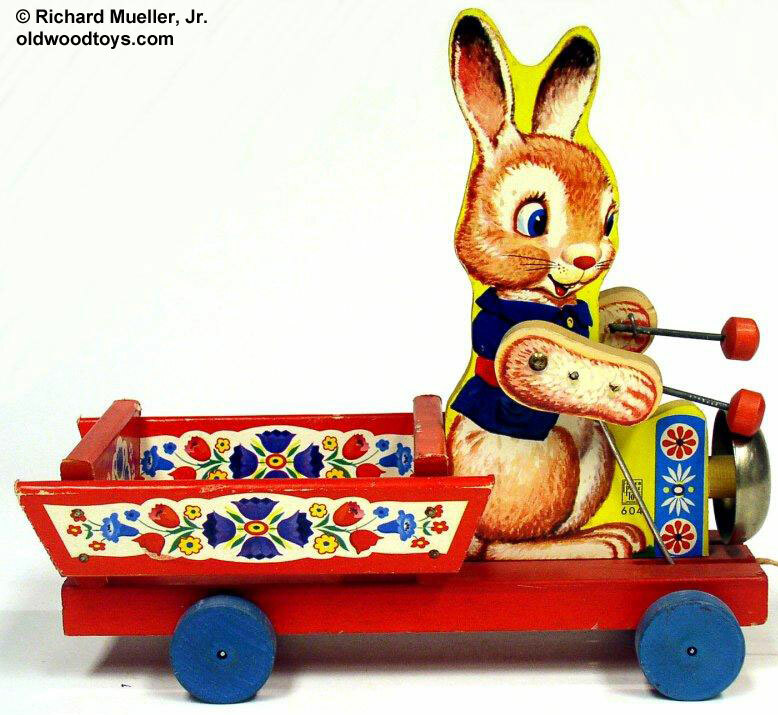 Description: The #604 Bunny Bell Cart features a brightly colored wooden cart with a happy bunny "driver" that swings his arms to bang his mallots on the cart's bell when pulled. 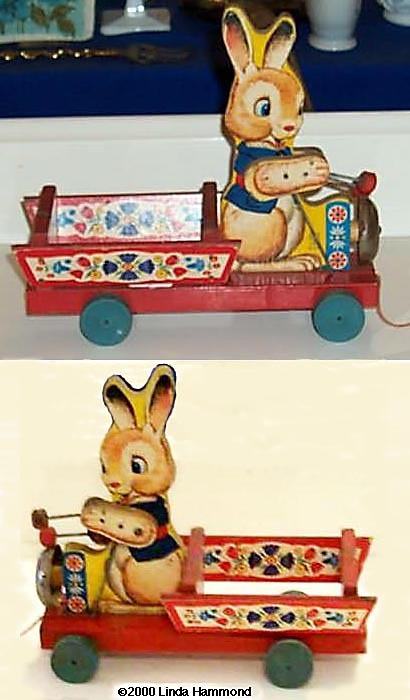 FPT4293 - Red rectangular wooden platform with a red 4-sided wooden cart on the back, a square block on the front with a metal bell attached to the front, and a wooden cut-out bunny "driver" figure. Bunny has paper lithographs on both sides of a light brown bunny with big blue eyes, white rings around his eyes, and wearing a blue jacket. Bunny has 2 wooden cut-out arms with paper lithographs on the sides of brown bunny arms. Each arm has an attached mallot with a red wooden bead on the end. Bunny swings his arms to strike the bell when the toy is pulled. The cart has paper lithographs on the outside and inside walls. The lithographs are white with brightly colored flower designs. The platform rolls on 4 blue wooden wheels. Measures 10-1/2" long.